I’ve always joked that my time with the kids tends to be spent either being an ATM and giving out money or being a Dad Taxi. Although I jest about how much taxiing I seem to do, the honest answer is that more often than not I’m happy to pick the kids up and ferry them around. I’d rather they were safe than walking home in the dark, for example. When Confused.com approached me with a small app they’ve produced, I couldn’t wait to try it out. The company are trying to highlight an appreciation for dads and with Father’s Day this weekend, what better time to do it? With Father’s Day just around the corner, children across the UK are taking the time to thank their dads for their love, support – and endless taxi services. New research from Confused.com reveals that dads spend 1 hour 40 minutes a week running their kids around in the car. They’ve produced a taxi meter app which I’ve been using each time I drive the car the kids around. The app acts as a taxi meter, telling me how much each fare would be if I were to charge the kids. According to Confused.com’s #DadTaxi meter, the average dad would receive a £54.40 weekly fare if they were a paid taxi driver. My own results have been eye-opening! A simple trip a couple of miles across town to pick up Brooke, my 13-year-old, would have cost her £7.20. A similar trip to the other side of Chelmsford to pick up Aaliyah, my 14-year-old, was just short of £8. In fact, over the weekend with the various pick-ups, drop-offs and “could you just…” journeys, I would have made £52.60 in fares. It’s almost as much as the average WEEKLY figure and it’s enough to make me want to start up a Dad Taxi Uber service. •Dads spend 1 hour 40 minutes and cover 40 miles a week driving their kids around, on average. •Dads have travelled as long as 2 hours 3 minutes on average in one trip – the equivalent of a £66.91 fare. •More than one in 20 (6%) dads admitted to charging their child petrol money. To celebrate Father’s Day, Confused.com is inviting you to show your appreciation to dads for their hard work and taxi services with the chance to win a driving experience at Silverstone. Share the reason why your dad deserves to win with Confused.com on Twitter or Instagram (terms and conditions apply3) – using the hashtag #DadTaxi – to be in with a chance of winning. 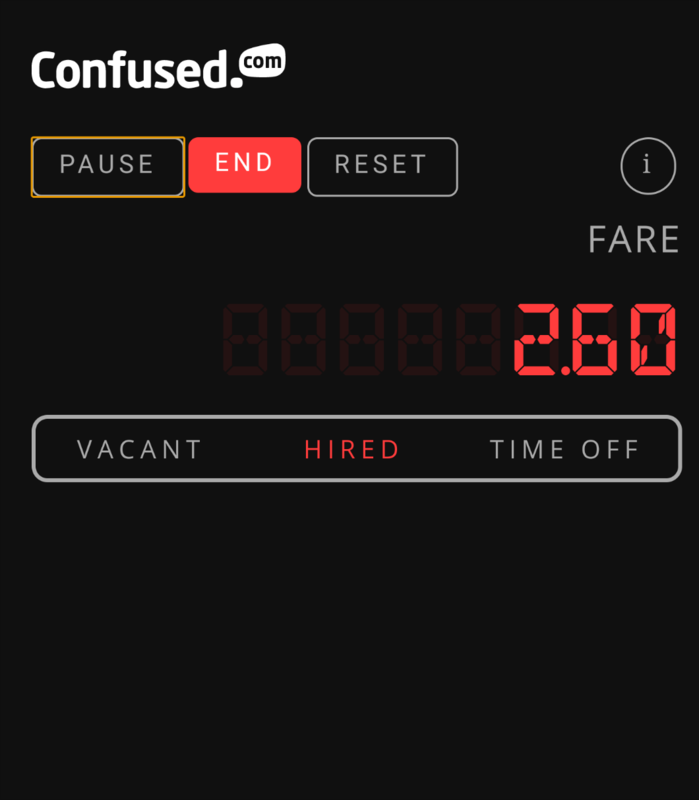 If you want to see for yourself how much you would make, check out Confused.com’s Dad Taxi app. No, I would not charge unless the circumstances insisted that I make the request. I would not charge – I see it as part of the “job”! I know what it’s like to feel like a taxi sometimes, but I’d never charge. I know what it’s like to feel like a taxi but I’d never charge!! As I’m partially sighted my poor hubby is taxi to me as well as our kids. I’m not a dad but mine takes me everywhere. Nope, and I never would. For me, it’s all part of being a parent ! No I’ve never charged them. No kids so no idea. The alternative is what? Let them walk or hitch a lift? No, free taxi service continues. NO. I want my Son to be safe. No I wouldn’t charge them. My dad gave me lifts all the time and even used to pick me and my friends up at 3am in the morning once we had finished clubbing – he never charged me! I charged petrol money once to make a point and it was a long journey. They are working so they have the ££££! No, but it has to be within reason. We’ve never charged them lol. I have never charged my daughter for taking her somewhere. There were a few times though, when she was a teenager, that I kicked her and her friend out of my car! We don’t have kids, but my parents went out of their way to drive me around. I think as long as they are polite and appreciative I would have a problem charging them. I don’t have any children but I would never charge if I did have kids.